If we think about the art of photography we come up with a frozen moment that will stay with us for as long as we keep that picture. Therefore, a picture of a building, or a work of art that stays the same isn’t photography, documentation maybe? What about a photograph of a work of art extremely ephemeral? An installation that just lasts long enough to take capture it? 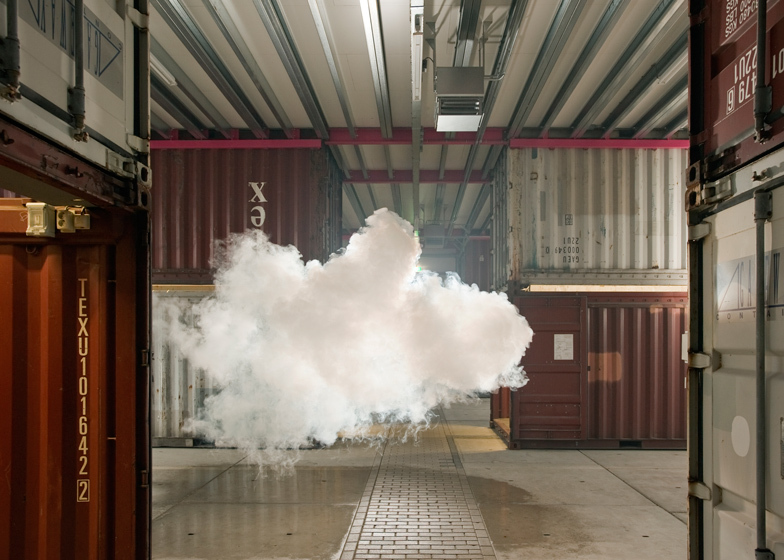 Berndnaut Smilde has developed a unique technique that allows him to shape a cloud in an interior space for a very short time. While this cloud floats in appealing architectural spaces, a professional photograph does his job giving us the opportunity to admire such an idea. This dutch artist has often worked with space, as related to architecture or models. Always questioning a dual proposition, such as the inside and the outside, and trying to create and in-between situation totally useless and, therefore, open to personal interpretation. However, he is not the only artist who has tried to bring the sky closer to us. Tomas Saraceno has tried, and in my honest opinion, achieved creating cloud cities in interior spces that can be inhabited by people. Another famous cloud is the “Blur Building” by Diller Scofidio + Renfro, where you could actually walk into a cloud and experience it from different perspectives, or a least known and less conceptual is the Cloud Installation that Mason Studio filled a warehouse with. Despite the fact of the difference of the interventions, being Smilde’s the most delicate and unreachable, these make me think if we are suddenly having a pretentiousness brakeout. Are we trying to own the sky?